Pre-prepared tent camp in the center of Lake Baikal - "Baikal Ice Camp"
Do you want to go for a real adventure on ice in Siberia? 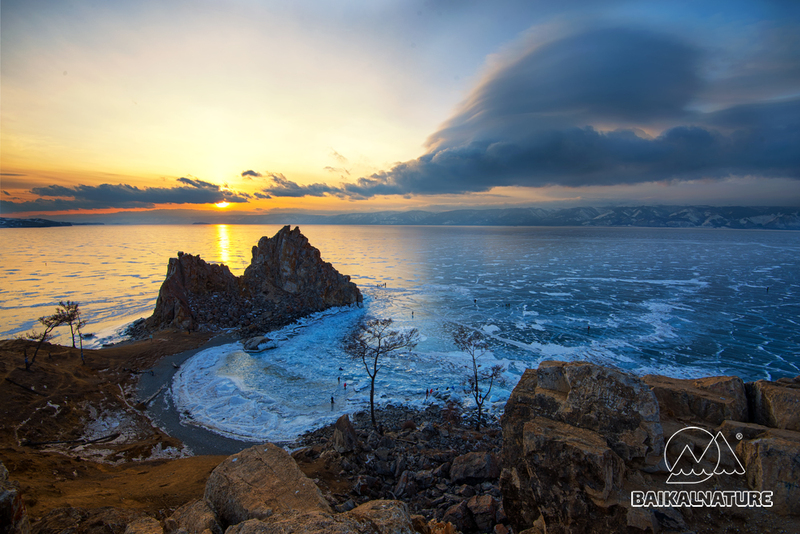 If that’s so, our tour “Lake Baikal’s Great Crossing” was made just for you! 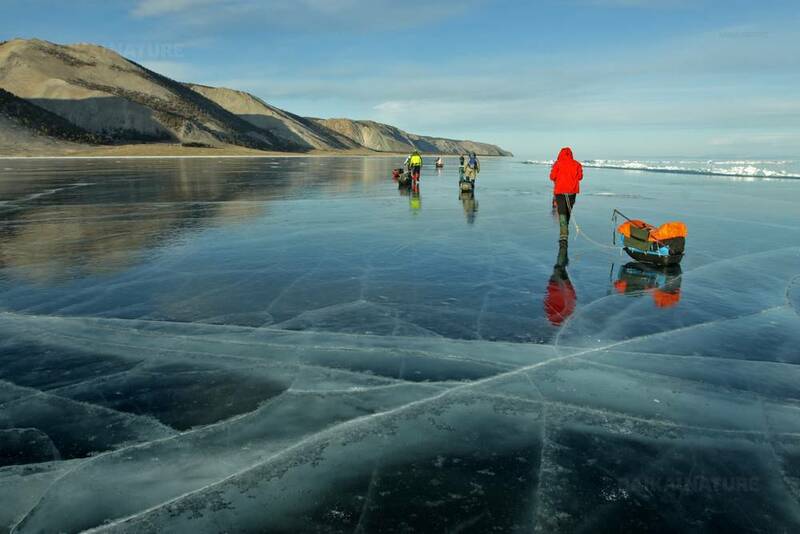 Cross the deepest part of the legendary Lake Baikal and find yourself 40 miles (60 km) away from any human habitation. Drawing on our years of experience, we created a brand new tour, for those like you who wish to experience genuine adventures. See the stunning, untouched landscapes spread before your eyes as you travel from Olkhon Island to Bargusin. From the western bank to the eastern bank, the lake is 30 miles wide. Crossing it doesn’t imply any kind of physical training; nor do you need any special gear except from your personal belongings. The equipment needed for the group will be waiting for you on site, in Baikal Ice Camp. You will also be provided with an expedition sled and ice cleats so you can walk on ice safely. In order that you find yourself as comfortable may be, your accommodations were specially designed to resist extreme conditions. 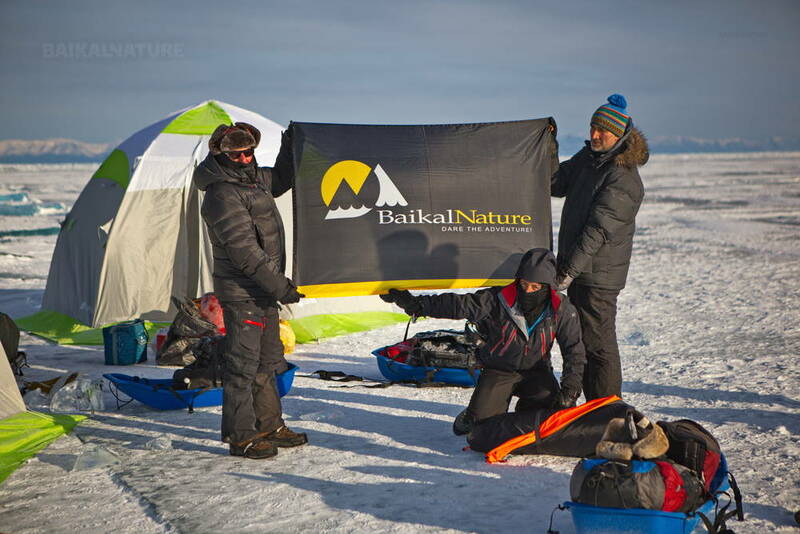 Welcome to BaikalNature Ice Camp! - Enjoy our Ice Bar its very special menu (payment on site). - Boots for walking in the camp - traditional Russian valenki. This tour is organized in mid-February and in March when the weather on the lake is usually fair. However, it may happen that the temperature falls under 4°F (20°C), that a strong wind starts to blow or that the fog suddenly descends over the lake. That’s why each trek you do is registered in the Ministry of Emergency Situations. You are also insured in case of accident. Moreover, your trek is run by a seasoned guide who carries with him a GPS navigator in which your hike coordinates are previously entered and a satellite phone. So, even if you are unlucky with the weather, you’ll be able to return to the camp. Chose this tour and experience feelings you never have before and that you shall never forget. Come back home with a thousand pictures of the clear, pure ice of the lake, memories from the nights spent upon this 1500 meters deep ice; having tested your moral and physical strength. If you arrive later, we can suggest for you the individual transfer. Please, let us know the number of your flight and the arrival time. *Transfer outside the program is for supplement. Discussion of the program and equipment's check up. You are free to ask any questions that you may have or just get to know your guide and other participants of the group. You can buy everything you need, go for a walk (the hotel is situated in the city-centre), taste the local cuisine or just sleep enough in the hotel's room. As option, we can add the city-tour (pedestrian or by car) - not included in teh cost of the tour. On the way you will make a short stops to take photos. You will taste some dishes of ethnic cuisine of Buryatia. Not included, to pay on site in cash. 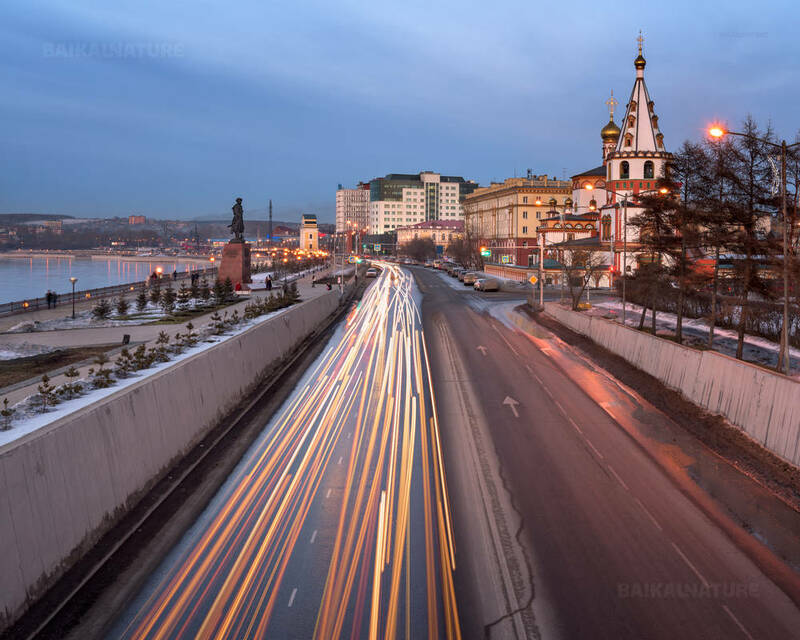 En route we will stop in the sacred place for blandishing the main Baikal spirit - Burhan. Our guide will tell you about all peculiarities of this tradition. The most important thing is to have the clear mind and heart. Crossing of the straight Olkhonskiye Vorota by 4x4 on the ice. Check-in at the resort. 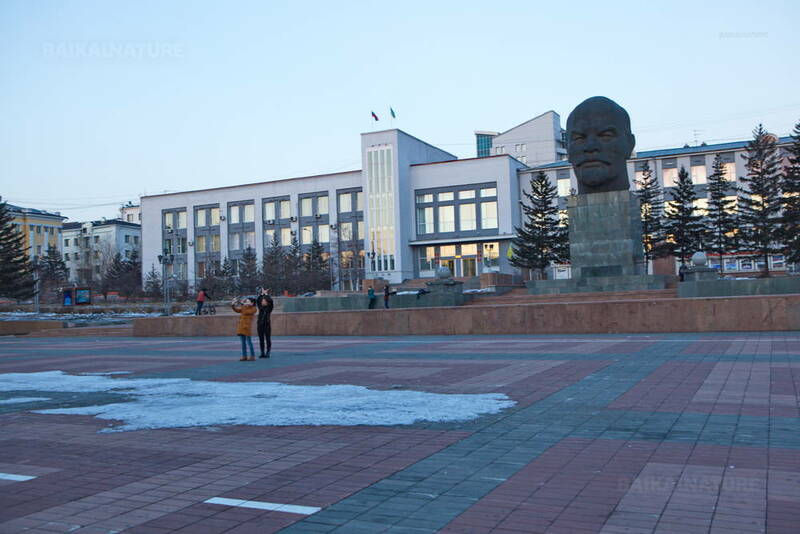 Free time to have a walk around the village, discovery of Burkhan rock, residence of the Baikal spirits, site of shamanic cult and one of the nine Buddhist sanctuaries of Asia. Visit of the village. Transfer by off-road vehicle (UAZ) to the starting point of our crossing - cape Khoboy situated in the north of the island. From there you will discover a magnificent panorama of the frozen lake. Stops along the way to explore the caves, grottos and islands. Accommodation in the real camp on the Baikal ice situated in the geographic centre of eh lake on the boundary between the Irkutsk region and the Republic of Buryatia. The ritual of meeting and greeting where every participant of the group can try to bore the ice. The briefing. In the camp there will be the comfortable and warm boots - Russian valenky. After the long journey, there is nothing more relaxing then the banya and the herbal tea. 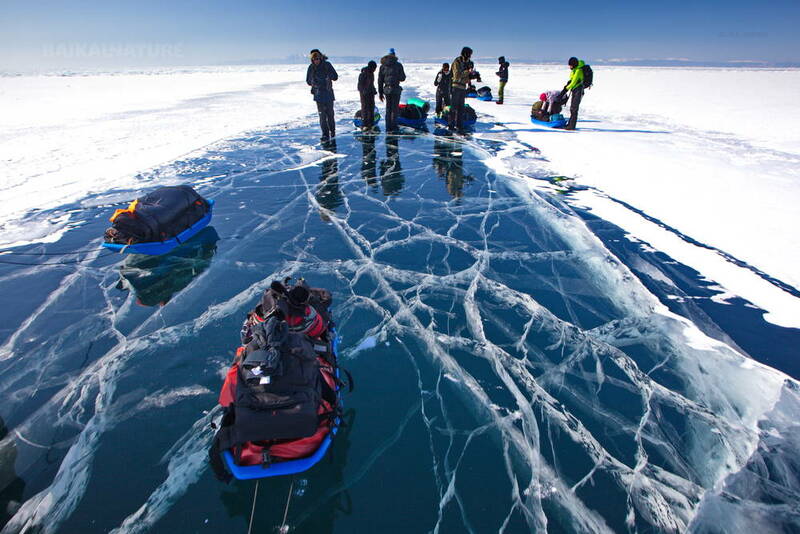 Today you will have a day at leisure on the Baikal ice. For those who prefer the active rest, we suggest to go skating or to walk near the camp. The transparent ice, the ice-hummocks and breaks will allow you to make thousand of photos. If you are keen of the photo, we suggest you to wake up earlier and make photos of the Baikal ice in the morning sunshine. For those who like the measured rest there is an Ice bar - the special menu of the ice exotic things. The purest ice is everywhere - around you and even in your glass. For the most sportif participants of the group we propose to play the ice hockey ! At the end of the day you will be transferred by 4x4 to the village of Ust-Barguzin. Arrival and check-in in the guest house. After several days of physical activity it its time to take traditional Russian banya! In the beginning our way goes along the shore of the lake and then passes through taiga forests. Ivolginsky datsan is a place serving the most important place of worship in Buryatia and the centre of Buddhism in Russia, located in a beautiful steppe. Banya is included on Day 5. 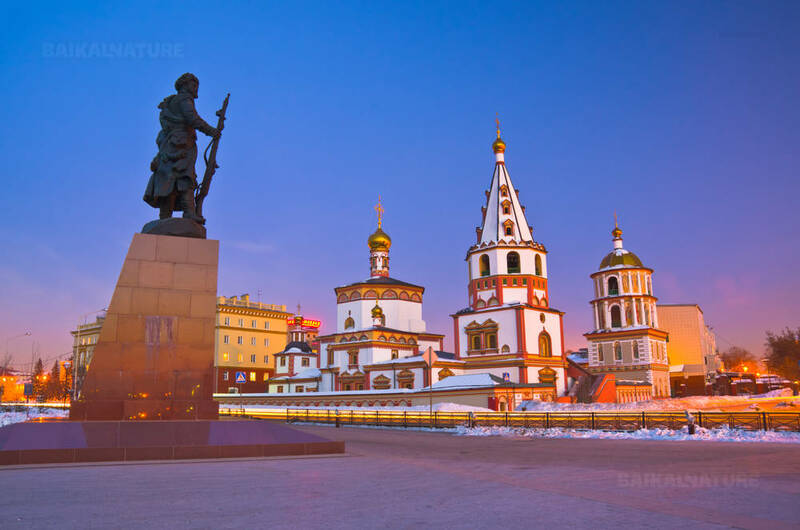 Transfer outside the program airport - hotel 1600 RUB per car of 3 passengers. Single supplement 4 050 RUB (only in the days 1,2 and 5). Supplement for the twin/double/single tent - 5 400 roubles / per night / per tent. Rent of the outer clothing: jacket, pants, boots, balaclava and mittens - 6 000 roubles / pers.. Trips of 25/02, 02/03 and 08/03 are in the opposite direction. The price of the tour includes Accident insurance for persons under 75 years. Would you like to travel with BaikalNature again?